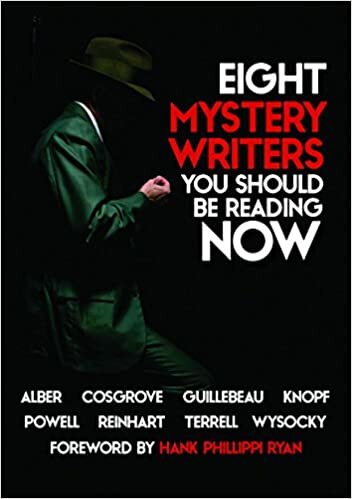 "The Best is Yet to Come," by Chris Knopf, in Eight Mystery Writers You Should Be Reading Now, edited by Michael Guillebeau and Stacy Pethel, Madison Press, 2016. Two paisans, sitting in their favorite Italian restaurant in Brooklyn, are waxing nostalgic. Bogart laments that today's hit men lack the style of the great mechanics of yesteryear. His friend Two Step agrees that contract killers just ain't what they used to be. Relevant war stories are exchanged. Then other stuff happens. I saw where this was going, but the perfect last paragraph made it worth the trip. Very amusing tale. "Being Fred," by Travis Richardson, in Thuglit 21, 2016. Pity poor Fred. He's a nice guy but he happens to share a body with Conner, a hit man for the Russian mob. Conner, his alternate personality tells us, is "a bad man who does awful things, but he's not a sociopath. If he was, I wouldn't exist." So when Fred, the reluctant coping mechanism, wakes up he always know it means Conner has done something so horrific he can't face it. Which leaves poor Fred to clean up the mess, sometimes quite literally. Or as Fred would swear, "Fiddlesticks!" This story is a lot of fun. "The Blue Carbuncle," by Terence Faherty, in Ellery Queen's Mystery Magazine, February 2016. 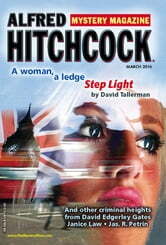 This is the sixth appearance in this space by my former fellow-SleuthSayer, Terence Faherty. That puts him ahead of all the other writers in the universe. No doubt he is thrilled. And this is the third winner in this bizarre series. You see, Faherty claims to have found Dr John Watson's notebooks, containing the original drafts of the Sherlock Holmes stories, explaining what really happened. And they are pretty hilarious. "Until now," Holmes added as he tossed the paper aside. "The question before us is how the stone got out of the jewelry case and into the goose." "Excuse me for saying so," Peters interrupted, "but who gives a tinker's tintype? We don't need to explain how it got in the goose to collect the reward." "What was I thinking?" Holmes said. "Right you are. Case closed. Drinks all around." Which might have been an amusing place to end the story, but Faherty has other, uh, geese to roast. In fact he is about to skewer one of the great mystery tales of all time, and it is not by Doyle. I will stop right here except to say the whole piece is very funny and clever. "The Devil You Know," by Jas. R. Petrin, in Alfred Hitchcock's Mystery Magazine, March 2016. This is Petrin's third appearance in this blog. Reading a new adventure of a favorite character fells like meeting up with an old friend. But some friends are definitely better in fiction than in real life. Which leads us to Leo "Skig" Skorzeny, a tough-as-nails loan shark in Halifax, Canada. Skig is too old to be doing this stuff, and he has an "imp" in his guts he expects will kill him, if someone else doesn't do it first. Among his enemies are the Halifax police who have "found" a block of cocaine in his ancient smelly Crown Vic - in an earlier story it spent a few hours in the harbor - and they offer him a deal: they won't press charges if he helps them find a truckload of old furniture that was stolen while being shifted from police headquarters. Skig has good reason not to trust the cops. As his friend Creeper says about the sergeant running the operation: "When she says win-win, she really means a double win for them. Nothng for you." But Skig figures out that what they are really after is not the old desks and tables but some filing cabinets that were in the truck. And if he can find them - and determine which file they are desperate for - he might get out of the mess with a whole skin. As usual, a good story from Petrin.